After an accidental early reveal by those cheeky scamps at Target, Warner Bros. Games has officially announced Middle-Earth: Shadow Of War, a sequel to 2014’s acclaimed orc-murder and manipulation simulator, Middle-Earth: Shadow Of Mordor. Taking place between The Hobbit and The Lord Of The Rings, Shadow Of War will continue the story of Talion, a human who became an immortal badass after being sacrificed by the Dark Lord Sauron’s minions, and Celebrimbor, the elf who forged the Rings Of Power and whose spirit is now bound to Talion. As teased in Shadow Of Mordor’s finale, our anti-heroic duo have forged themselves a new Ring Of Power and will be heading behind enemy lines to “turn all of Mordor against the Dark Lord” in an effort to undermine his growing armies. According to Warner Bros.’ announcement, Shadow Of War will expand on the original game’s Nemesis System, which generated unique bad guys to act as rivals to the player throughout their story. The sequel is adding allies who’ll be able to turn on you and something called Nemesis Fortresses, “which allows players to utilize different strategies to conquer dynamic strongholds and create personalized worlds with their unique Orc army.” That sounds neat, if not incredibly vague. We should get more nitty-gritty details when Warner debuts some actual in-game footage on March 8. 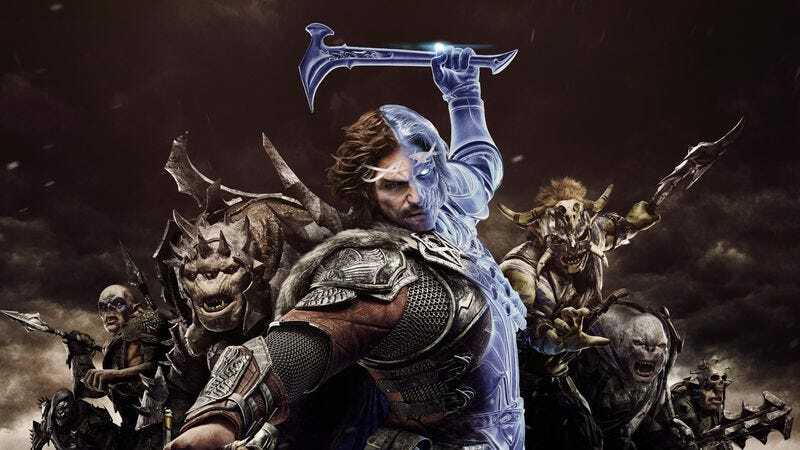 Middle-Earth: Shadow Of War is in development at Monolith Productions, which also created Shadow Of Mordor, and is scheduled for release on August 22 on PlayStation 4, PC, and Xbox One.